Mercedes-AMG just dropped cover on the newGLC 63 and GLC 63 Coupe about a week before both vehicles were scheduled to appear in the metal at the New York International Auto Show. 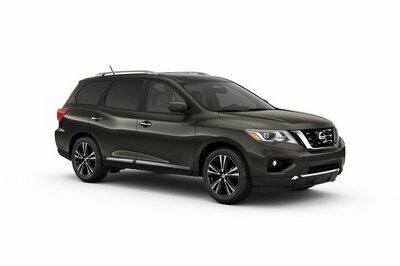 The mid-size SUV can be had in two separate flavors, including the 476-horsepower base model, or the 510-horsepower S model, both of which employ a double dose of turbo’d induction to make the go. Torque is rated at 479 pound-feet and 516 pound-feet, respectively. Keeping it tight in the bends is a three-chamber air suspension system with adaptive components, including a four-link set-up in front and a multi-link set-up in the rear. Turns come courtesy of speed-sensitive steering. Outside, you’ll find standard 19-inch wheels in a titanium grey finish, plus a new fascia with a grille AMG has dubbed Panamericana as a nod to the brand’s sports cars. Inside, the pumped-up GLC’s get sport seating and leatherette upholstery, plus AMG-specific touches like badges and a performance gauge cluster. Handling the cog swaps is an AMG Speedshift nine-speed automatic transmission, which feeds a rear-biased 4Matic+ high-performance AWD system. Big upgraded brakes are in place to make it stop. Drivers will enjoy multiple drive modes, which affect numerous vehicle characteristics, including the sound it makes thanks to an active flap in the exhaust. Turn it up to enhance the aural enjoyment, or turn it down for a more appropriate note for whatever the situation may be. Look for the Mercedes-AMG GLC 63 and GLC 63 Coupe to premier next week in the Big Apple. Sales are scheduled for June, with a market launch in September. Note: All images courtesy of Mercedes-AMG. Affalterbach. Back in 1999, with the ML 55, Mercedes-AMG set a milestone – not just in its own 50-year history. For the combination of high-performance engine in the skin of an SUV opened up an entirely new market segment. Also with the new GLC 63 4MATIC+ and the GLC 63 4MATIC+ Coupé, Mercedes-AMG once again occupies an exceptional position in the marketplace. 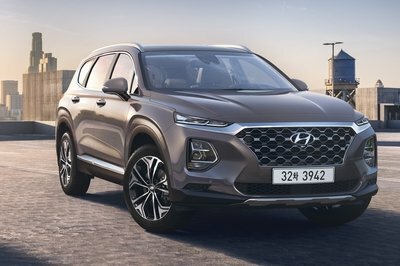 For the first time, a mid-size SUV is now also available with the powerful eight-cylinder biturbo in two output variants. The basis for this is provided by the AMG 4.0-litre V8 engine with 350 kW (476 hp) or 375 kW (510 hp) in the GLC 63 S and GLC 63 S Coupé variants. The Performance SUVs also feature air spring suspension with adaptive adjustable damping, AMG Performance 4MATIC+ all-wheel drive with fully variable torque distribution, a rear-axle limited-slip differential and a high-performance braking system. As a visual indication of their links with Mercedes-AMG sports cars, the new models sport the AMG Panamericana grille, which was previously reserved for the AMG GT family. 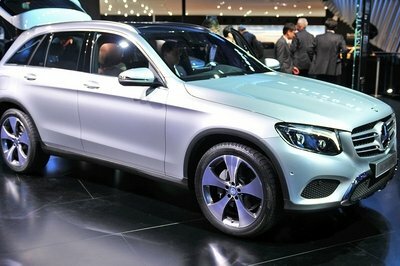 In addition, the new models offer all the advantages of a Mercedes-SUV: ample room for passengers and luggage, comprehensive array of safety equipment and superior traction, also in the wet or in wintry road conditions. The new Mercedes-AMG GLC 63 4MATIC+ and Mercedes-AMG GLC 63 4MATIC+ Coupé occupy exceptional positions in their respective markets on every front. They are the only vehicles in their segment to be powered by an eight-cylinder biturbo engine. Mercedes-AMG thus meets the wishes of those customers who, also in a mid-size Performance SUV, are looking for a combination of superior power delivery along with a highly emotive, unmistakable engine sound. SUV and Coupé are available as basic and S-model variants: the proven AMG 4.0-litre V8 biturbo engine puts out 350 kW (476 hp) or 375 kW (510 hp) with a max. torque of 650 or 700 Nm. The top speed is 250 km/h (electronically limited). The 4.0-litre eight-cylinder biturbo engine is already used in numerous AMG Performance vehicles. It is also installed in the AMG GT sports car with dry sump lubrication. A characteristic feature is that the two turbochargers are positioned not on the outside of the cylinder banks, but inside the cylinder "V". The main advantages of this design are the compact engine construction, optimal response and low exhaust gas emissions. One mechanic assembles each engine in the engine shop in Affalterbach according to the "one man ‑ one engine" principle. The new GLC 63 4MATIC+ and GLC 63 S 4MATIC+ feature the AMG SPEEDSHIFT MCT 9-speed transmission, which made its debut in the Mercedes-AMG E 63 4MATIC+. The driver benefits from extremely short shift/response times. Fast multiple downshifts and the double-declutching function make for a highly emotive gearshift experience. A start-off wet clutch replaces the torque converter. This saves weight and optimises the response to the driver’s accelerator pedal input, particularly on acceleration and during load changes. After the E-Class from Mercedes-AMG, the GLC, too, now comes with AMG Performance 4MATIC+ all-wheel drive. This intelligent system unites the advantages of different drive concepts: the fully variable torque distribution to the front and rear axles ensures optimal traction right up to the physical limit. The driver is also able to rely on high driving stability and handling safety under all conditions, both in the dry and in the wet or in snow. The transition from rear-wheel to all-wheel drive and vice versa is seamless, because intelligent control is integrated into the overall vehicle system architecture. An electromechanically controlled clutch connects the permanently driven rear axle fully variably to the front axle. The best possible torque distribution is continuously computed according to the driving conditions and driver’s input. Transitions are seamless and based on a sophisticated matrix. Alongside traction and lateral dynamics, the all-wheel drive also improves the longitudinal dynamics for even more powerful acceleration. The four AMG DYNAMIC SELECT drive programs "Comfort", "Sport", "Sport Plus" and "Individual" allow the driver to extensively influence the characteristics of the GLC E 63 4MATIC+. This modifies key parameters, such as the response of engine, transmission, suspension, steering, ESP® and all-wheel drive. Independently of the DYNAMIC SELECT drive programs, the driver has the option of pressing the "M" button to switch directly to manual mode, in which gearshifts are executed exclusively using the shift paddles on the steering wheel. The suspension settings can also be specially selected if required. "Comfort" is the balanced drive program with a comfort-oriented suspension and steering set-up as well as a fuel-efficient powertrain configuration with early upshifts – including smooth gearshifts and a restrained engine sound. The ECO start/stop function and coasting function are activated. This is how it works: When the driver releases the accelerator in a speed range between 60 and 160 km/h, the clutch of the MCT transmission opens and the engine is decoupled from the powertrain. The electronics lower the engine speed to idle and driving resistance is reduced by the compression and friction forces of the engine on overrun. The DYNAMIC SELECT "Sport" and "Sport Plus" drive programs are designed for high driving dynamics. This results from an agile accelerator pedal characteristic with direct set-up and emotively appealing gearshifts with shorter shift times and double-clutching function on downshifts. The increased idle speed in "Sport Plus" also enables especially fast pull-away and acceleration from rest. The GLC 63 S 4MATIC+ has an additional "RACE" drive program, in which all the parameters are configured for maximum performance. With a total of five drive programs, the Performance SUV once again offers the widest choice in the segment. The as-standard typical V8 engine sound comes courtesy of an exhaust system with flap technology. It is controlled by a map and automatically operated depending on the AMG DYNAMIC SELECT drive program, the power demanded by the driver and the engine speed. Optionally available is the Performance exhaust system, which allows the sound to be modulated at the press of a button. In any case, the exhaust systems are so designed that all noise limits are complied with irrespective of the flap position. The agility, highly dynamic lateral acceleration and maximum grip of the new models are also thanks to the new AMG suspension with fully supporting multi-chamber air suspension, which ensures exceptionally high levels of camber stability, driving dynamics and steering precision. The front axle features a four-link design with special steering knuckles, optimised elastokinematics and radial brake connections. 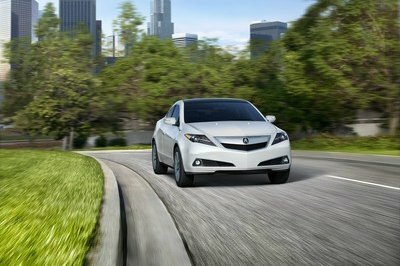 Independent wheel control and wheel suspension elements enable higher lateral acceleration with minimal torque steer. The concept for the rear axle was carried over from the E 63 4MATIC+ and specially matched to the requirements of the GLC. The model-specific multi-link concept impresses with highly precise wheel control and increased stiffness. The AMG-specific rear axle carrier makes the wider track possible in comparison with the GLC from Mercedes-Benz, while the contact surfaces of the wheel bearings have also been moved further outwards. Other measures include AMG-specific wheel carriers, stiffer elastokinematic tuning and higher negative camber. Thanks to a sporty spring and damper set-up and continuously variable damping, the new three-chamber air suspension system combines exemplary driving dynamics with excellent road roar and tyre vibration characteristics. The stiffness of the air springs can be adjusted over a wide range by activating or deactivating individual air chambers, making for perceptibly enhanced comfort and handling. There are three degrees of spring tuning, depending on the selected drive program and current driving status. The spring rate is hardened automatically in the event of sudden load changes, fast cornering, heavy acceleration or heavy braking, this effectively reducing roll and pitch while stabilising the Performance SUV. The adaptive damping can be set in three stages – "Comfort", "Sport" and "Sport Plus" – to choose between relaxed comfort on long journeys and maximum sportiness. The rebound and compression levels are adjusted independently of each other, and the freely programmable maps permit a wide spread between minimum and maximum damper force. The difference between the comfortable and sporty suspension settings is made more refined and is clearly perceptible – depending on driving style. The GLC 63 4MATIC+ is shod as standard with 10-spoke light-alloy wheels 8.0 J x 19 (front) and 9.0 J x 19 (rear) painted in titanium grey with a high-sheen finish and with tyres of size 235/55 R 19 (front) and 255/50 R 19 (rear). The dimensions for the GLC 63 S 4MATIC+ are 265/45 R 20 (front) and 295/40 R 20 (rear) on 5-twin-spoke light-alloy wheels painted in titanium grey with a high-sheen finish in 9.5 J x 20 (front) and 10.0 J x 20 (rear). There are other, optional wheel/tyre combinations as well as forged wheels, up to sizes of 265/40 R 21 on 9.5 J x 21 on the front axle and 295/35 R 21 on 10.0 J x 21 wheels on the rear axle. For improved traction and driving dynamics, the GLC 63 4MATIC+ comes with a mechanical rear-axle limited-slip differential, while the GLC 63 S 4MATIC+ uses an electronic rear-axle limited-slip differential. Both differentials reduce the slip on the inside wheel when cornering, without control interventions by the brakes. The result: allows the driver to accelerate out of corners earlier thanks to the improved traction. The vehicle remains more stable when braking from high speed, while the limited-slip differential also improves traction from rest. Overall, the rear axle has been specially matched to the higher driving dynamics of the new Performance SUVs. The greatest benefit of the electronic rear-axle limited-slip differential is the even more sensitive and faster control, which pushes the critical threshold higher, making it even easier to drive at the vehicle’s limits. The three-stage ESP® with "ESP ON", "ESP SPORT Handling Mode" and "ESP OFF" settings works in perfect unison with the rear-axle limited-slip differential and is optimally tuned to the outstanding dynamics. The electromechanical, speed-sensitive sports steering makes for precise, agile handling with authentic feedback. The driver benefits from the variable steering ratio and optimised response. The steering also features variable power assistance with the two modes "Comfort" and "Sport". The power steering is dependent not only on the vehicle’s speed, but also on the instantaneous lateral acceleration, selected AMG DYNAMIC SELECT drive program and setting of the adjustable damping. With 360-millimetre perforated and internally ventilated brake discs at front and rear, the high-performance braking system on the GLC 63 4MATIC+ ensures short stopping distances along with excellently controllable braking force. The GLC 63 S 4MATIC+ is fitted with 390-millimetre compound brake discs at the front to allow for the increased performance. A striking characteristic of the exterior design is the expressive front end: the new GLC 63 4MATIC+ is the first Mercedes-AMG Performance vehicle to feature the Panamericana grille, which was previously reserved for the AMG GT family of sports cars. This design statement affirms the consistently dynamic design of the new Performance SUV and Coupé. A wide front apron inspired by the design of a jet wing, with a large front splitter, impressively embodies the power of the new models. By dispensing with a fine-meshed grille, it gives a view of the cooling technology – a typical attribute from the world of motor sport and a further differentiation from the other GLC models. Wider wheel arch claddings at front and rear lend emphasis to the muscular looks. The new side sill panels make the SUV and Coupé appear to sit lower on the road while elongating the overall lines. On the S-model variant, matt iridium silver inserts make for a distinctive appearance. The muscular rear end is dominated by the wide rear apron and diffuser in grained black. The trim on the diffuser board of the S-model variant is in matt iridium silver. The SUV is for the first time provided with a spoiler lip on the roof, while the spoiler lip on the Coupé is familiar from the GLC 43 4MATIC. The exhaust system is terminated by two high-gloss chrome-plated twin tailpipe trims. The interior underscores the leadership ambition of the new mid-size Performance SUVs in terms of driving dynamics. Driver and front passenger are enclosed as standard in sports seats in ARTICO man-made leather, combined with DINAMICA microfibre, which unite excellent lateral support with functional ergonomics tailored to the job of driving. The instrument panel is trimmed in black ARTICO man-made leather with contrasting topstitching. The high-grade look is underlined by aluminium trim. The touchpad is flanked by the AMG DYNAMIC SELECT switch and numerous AMG-specific controls, such as the button for the 3-stage AMG RIDE CONTROL suspension, 3-stage ESP® or optionally the button for the AMG Performance exhaust system with flap control. The S-model variant comes with an even more extensive equipment package, including a Performance steering wheel in black nappa leather / DINAMICA microfibre, AMG badges in the front head restraints in combination with leather appointments and AMG instrument cluster with red highlights. The SUV and Coupé variants of the Mercedes-AMG GLC 63 4MATIC+ and GLC 63 S 4MATIC+ are also available at launch as an "Edition 1" special model: the exclusive combination of equipment details turn the special model into the flagship of the range. 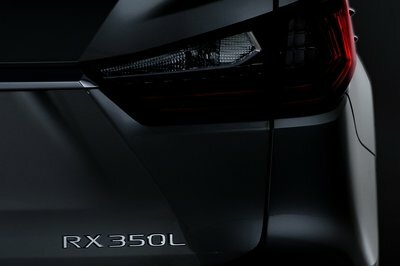 In both body variants, the Night package in high-gloss black enhances the racing-inspired looks. The sports stripes on the sides of the vehicle are in matt yellow or graphite grey, depending on the paint colour. The matt black 21-inch cross-spoke forged wheels are provided with highlights in the form of yellow or high-sheen rim flanges. The Aerodynamics package, too, draws its inspiration from the world of motor sport. The racing feel is carried over into the interior. The sports seats are upholstered in black nappa leather and reprise the colour yellow in the contrasting topstitching of the specific diamond pattern. Black nappa leather with yellow contrasting topstitching also enhances the door centre panels, armrests and centre console. Further yellow highlights adorn the instrument cluster, floor mats and Performance steering wheel with flattened bottom section in DINAMICA microfibre with 12 o’clock marking. Added to this is AMG trim in matt carbon fibre / bright aluminium with longitudinal grain. Optional for and exclusive to the Edition 1 special model is the AMG Performance seat with diamond design and contrasting topstitching in yellow. The new mid-size Performance SUVs celebrate their world premiere in April 2017. Start of sales is on 16 June 2017, while the market launch begins in September 2017.